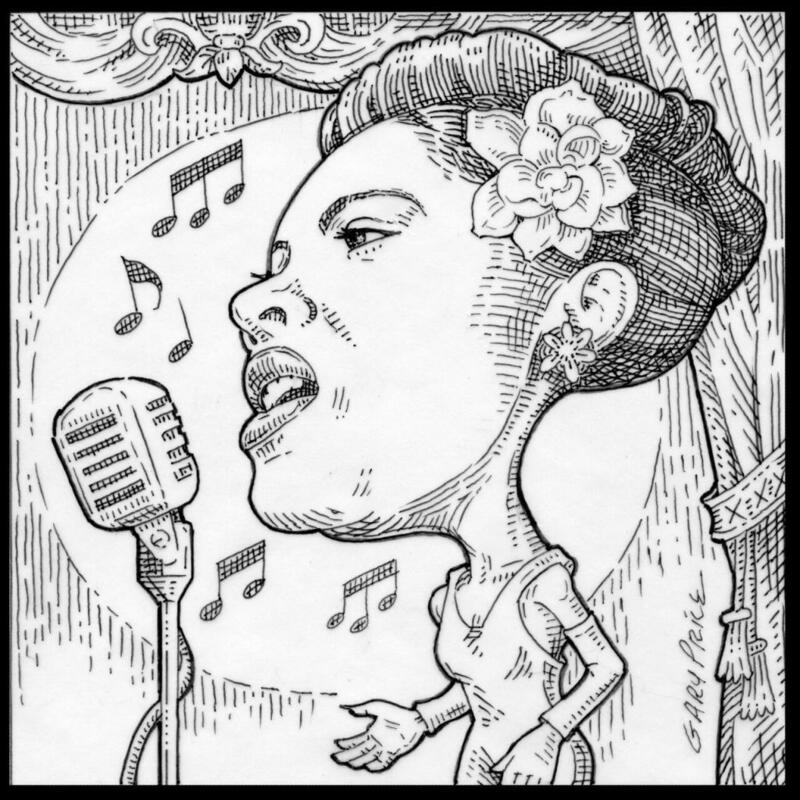 Eleanora Fagan, better known as Billie Holiday, was born April 7, 1915, in Philadelphia, the daughter of Sarah Julia “Sadie” Fagan and Clarence Holiday. Much of her childhood was spent being raised by her aunt and her aunt’s mother-in-law. Her father left shortly after her birth to pursue a career as a banjoist and guitarist. He is best remembered for having played with the Fletcher Henderson Orchestra in the 1920s. Eleanora’s childhood and early adolescence can charitably be described as “rough.” At some point during her chaotic upbringing, she heard records by Louis Armstrong and Bessie Smith. By the late 1920s, she was performing in Harlem clubs with tenor saxophonist Kenneth Hollan. By that time, she had renamed herself Billie Holiday—taking her first name from the actress Billie Dove and her last from her musician father. Holiday’s recordings sold well in the late 1930s and early 1940s. Her success coincided with her increasing drug and alcohol abuse, and she was targeted by the FBI for her heroin use. That she had introduced and recorded Abel Meeropol’s politically stringent “Strange Fruit” did nothing to endear her to the authorities. Billie did prison time for drugs, and was forced into gigs in the hinterlands after losing her NYC Cabaret Card in 1947.